Until today, corporations and Universities have gotten away with laying claim to the human genome—being granted around 40,000 gene patents over the past 30 years. But now, the Supreme Court says in a landmark decision, those patents were granted in violation of patent law and are not legitimate. The Court spoke out against corporate ownership of human genes in a unanimous decision that said human DNA cannot be patented because it is naturally occurring. Myriad Genetics argued before the court that they had the right to patent genes that they separated from the rest, saying this isolation made the genes patentable. But, the Court disagreed. Myriad had argued that their isolation of BRCA1 and BRCA2, whose mutations indicate an increased risk of breast and ovarian cancer, gave them sole rights to nearly any medical or scientific applications, uses, or tests involving the genes. Fortunately, they were shut down in the recent decision. Such patents have thus far limited the potential impacts of these gene isolations. Case in point: Myriad charging about $4,000 for tests to determine if the mutations were present when other non-Myriad affiliated scientists had discovered methods to sequence someone’s entire genetic makeup for $1,000. The BRCA1 and BRCA2 patents prevented these more affordable tests from being made available. Today’s victory is one for everyone who believes their genetic information should not be owned and profited off of by large corporations. The ruling did offer some consolation to the corporations, though. 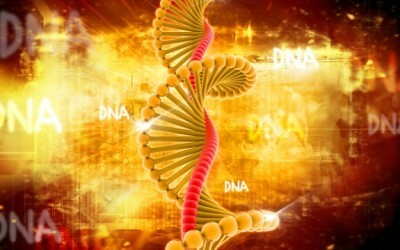 It concurrently said that synthetic cDNA is patentable because it does not occur in nature. This gives companies like Myriad a route to continue their money-making medical business even if it’s not off of your genetics.